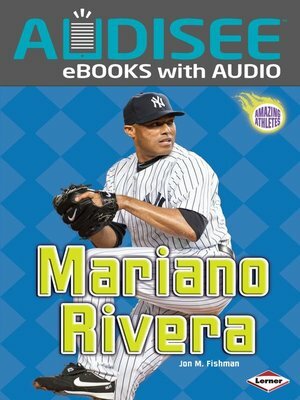 Audisee® eBooks with Audio combine professional narration and text highlighting to engage reluctant readers! In 2013, New York Yankees relief pitcher Mariano Rivera announced he would retire after playing 19 seasons in the major leagues. Recruited in 1990 at the age of twenty, Mariano racked up many astounding pitching records over the next two decades. In 2011, he closed out a game against the Minnesota Twins for the 602nd save of his career, making him the top closer in history. When the game ended, Mariano's fans stayed to cheer his career accomplishments. Follow Mariano's inspiring story from Puerto Caimito, Panama, to the mound at Yankee Stadium.